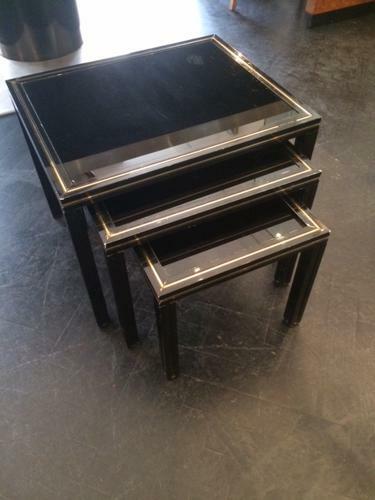 Set of three Pierre Vandel nest of tables. Lacquered metal with black glass top and brass outline. French,ca.1970s.